An avid music fan-turned-DJ, electrokat first took to the decks at Home Club, and has been addicted ever since. That insatiable need for vinyl has had her spinning herself silly all over town. 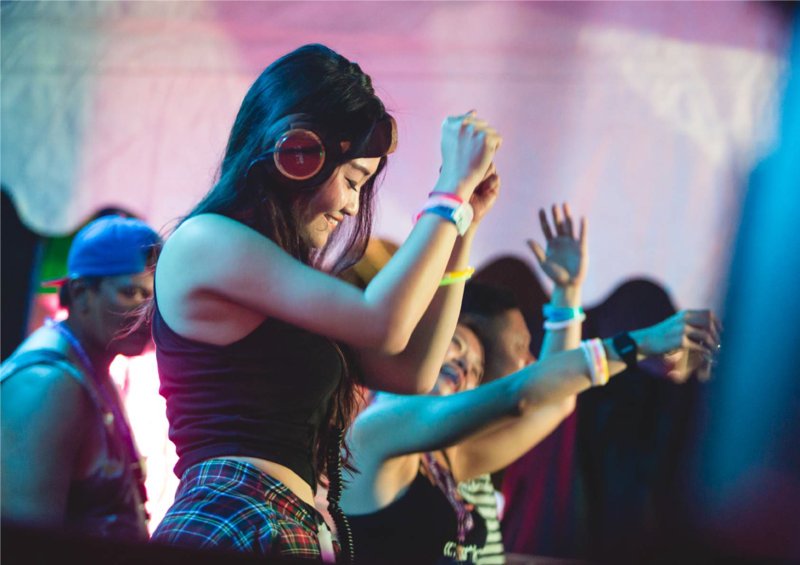 Her whimsical style and eclectic blend of music combined with her outrageously energetic & lively performances have seen her establishing herself as a mainstay in the Singapore and regional club scenes. Having helmed the decks at the Coca-cola Christmas Eve party, she also made a glamorous appearance on Orchard Road as the exclusive DJ of the Singapore JewelFest 2012, producing beats for the runway shows of the week-long festival. She regularly headlined at CASA in Hong Kong, bringing the house down with resident DJ Czone and Levels HK’s DJ Nishad. She’s even brought her electronic feline flavour to Prive HK alongside veteran DJ Dim Sum! Her recent adventures also brought her to the eclectic Wah Wah Lounge’s “Outrageous Fridays” in Melbourne, Australia as a special guest. When she isn’t tearing it up across the globe, electrokat is the crazier half of electro/trance duo SYNTH alongside DJ ChrisP, formerly a resident night at Home Club. She has also made regular appearances at the now-defunct Lucky 13 where she fronted “Bump Flex & Grind”, Lucky 13′s R&B and hip-hop nights, as well as “Burst” electro nights, showcasing her versatility behind the decks. She was also a regular appearance at house events such as the Johnnie Walker Gold Lounge and Lucky 13’s 1st Anniversary party. With all the experience under her furry belt, electrokat is ready to make waves in the regional music scene in a big way! Watch out for her coming to a premier nightlife venue near you.